Everything in your home should reflect your personal style. This isn’t just limited to your floors, your furniture or what you hang on your walls. Even the smallest things, like the hardware you choose for your bathroom and kitchen, even the door handles and knobs on your interior and exterior doors, can tell your guests a little about you. If you want to add your personality to your hardware, Linnea is a great place to start shopping. Linnea has several lines of hardware. These include bathroom accessories, pulls and knobs for cabinets, doorstops, door handles, locks and deadbolts and entry pulls. There are several items under the bathroom accessory category, including soap dishes, toilet paper holders, shower caddies and towel bars, enabling you to create consistency in your bathroom. All of the products are made of stainless steel, marine grade stainless steel to be exact. This particular type of stainless steel is extremely resistant to harsh weather, meaning that it will last a long time. And, even though it’s very durable, it’s also recyclable, making it an eco-friendly choice for your hardware needs. Is Linnea Right For You? Linnea’s designs are sleek, simple and architectural. There are no elaborate details. If this is your style preference, Linnea may just be what you need. There is also no room for customization, save for choosing either a polished or satin finish. There are no other colors available, so if you are the type of person who needs to have pops of color and small, engraved details, not all of Linnea’s products will be what you want. You may still find things that appeal to you, though, if not everything needs to be colorful and highly detailed. If you are looking for sleek, simple, durable cabinet hardware to use throughout your home, take a look at Linnea. With their architectural, marine grade stainless steel, you are sure to find something that not only looks good just about anywhere you place it, but will stick around for a long time. A popular choice for flooring and walls these days is ceramic tile. It is durable, long lasting and very easy to care for. In fact, it requires very little maintenance beyond a sweep or a quick wipe. Many consider it for its functional properties, it can be much more than that. With so many colors and patterns available, it can be used to express your personality. In the market for new tile? Take a look at Marazzi for a myriad of options. Marazzi is an American based company with plants in several other countries: Italy, Spain, France and Russia. With an Italian inspiration, Marazzi has a large array of decorative accents, glass tile, glazed ceramic tile, porcelain stoneware and wall tiles. In each of these categories, there are multiple collections. The decorative accents are available in multiple size and color options. Glass tile collections have several color palates from which to choose, and range from light and simple to dramatic. Glazed ceramic tiles are also available in multiple color options and have coordinating trim that you could purchase along with it. There are three types of porcelain stoneware – color body, glazed and through body – each with different color options. The wall tiles are designed specifically for wall use. Again, there are many color options. You can even opt for mosaic tiles to create unique patterns that express you. Is Marazzi Right For You? Having so much to choose from, you would be hard pressed not to find tiles that fit your unique personality. No matter if you like things clean and simple or prefer little added touches here and there or you are rather bold, Marazzi has a tile for you. And, if you are environmentally minded, many of Marazzi’s tiles contain no VOC’s. The stoneware contains recyclable components. Glass is a recyclable material. So that is another added bonus. 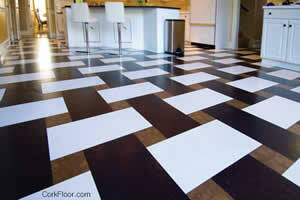 Flooring tiles are strong, extremely durable, and easy to care for. But they can also be beautiful and used to express your personal style. If you are in the market for functional and aesthetically pleasing tiles, take a look at the extensive selection offered by Marazzi. Tiles make for great floors. They are strong, long lasting, and they’re easy to clean. But they aren’t just meant for floors. They can be used on walls, counters, tabletops, or even on some areas outside. They can even stretch beyond functional into decorative territory with a little bit of creativity. For interesting ways to use ceramic and mosaic tiles, take a look at Manet Tiles. What Does Manet Tiles Offer? Manet Tile has a selection of ceramic tiles, decorative ceramic items, terracotta tiles, art mosaics, mosaic tiles and natural stone tiles. From what could be gathered from some searching around online, it appears as though many of their tile offerings are good for a number of uses, from floors, to walls, to tabletops. They can even be used outdoors. The company offers some highly detailed art mosaics. Some of their decorative tiles are painted with unique designs. These tiles appear to be unlike many of the mainstream decorative tiles. It is very difficult to find information about Manet Tile online. A preliminary search shows other tile companies instead. One major site that had some pictures showing the work that Manet can do supplied a website, but that link led to an empty page. And, the most recent photographs that the company had posted were from several years ago; there was nothing recent. It seems that if you desire more information about and of the offerings of Manet Tiles, you will need to give them a call. Are Manet Tiles Right For You? From what could be found, Manet Tiles have some rather interesting designs. It would be a great choice if you desire something a little out of the ordinary. As detailed information about the company is difficult to come across, you won’t find anything about color options, prices, or if they take custom orders. If you are still intrigued, they could be worth the call. Flooring tiles doesn’t just need to be functional. Manet Tiles’ selection of ceramic and mosaic tiles prove that they can be a rather interesting decoration as well. Getting some information is just going to take some work. Tile makes a great floor. But it also works well for your walls. You can utilize any assortment of sizes and shapes to create various patterns. 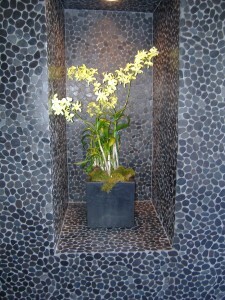 Or you can use mosaic tiles to create pictures on your kitchen backsplash or on an outdoor fountain. If this sounds like something you might want to do, McIntyre Tile can give you what you need. What Does McIntyre Tile Offer? Is McIntyre Tile Right For You? McIntyre Tile is an American company, based in California. It employs the services of several different artisans. They state very plainly that they are dedicated to keeping their processes as green as possible. This is done in a variety of ways. They use post-industrial waste, such as brick and marble dust, in their clay mixture. Any clay that they create that doesn’t get turned into flooring tile can be recycled back into new tiles. Any waste they create is non-hazardous. They also don’t waste subpar tiles. Some pieces are sold for surface material while broken pieces are given as mosaic tile to artists and schools. Since they have so many colors, sizes and shapes to offer, it’s relatively safe to say that they have something for everyone. Your walls are a canvas for expression. Why not take a look at McIntyre Tile for a vast selection of tiles of all colors, sizes and shapes to add a touch of you to your home? You spend quite a bit of time in your bathroom. You prepare for your day or an evening out there. You may just stop in really quick to check your appearance before answering the door. At the end of a long, stressful day, you can spend quite a bit of time there, with a hot bath or shower, to relax. A high traffic area like this should show your personality. It should put you at ease. Whitehaus offers a variety of beautiful, no fuss, bathroom fixtures that may just suit your needs. Whitehaus has several types of bathroom sinks, including above mount, under mount, pedestal and wall mount. There are all sorts of shapes and sizes. Most of the sinks are white, some china, some clay. Some of the above mount sinks are stainless steel or copper. The under mount sinks are available as smooth or textured, in polished brass, stainless steel, copper and others. You can pick a sink that is either single hole or widespread, allowing you to customize your sink with any number of Whitehaus’ faucets. Your shower should be well outfitted. Whitehaus offers twelve different showerheads. They are multiple sizes and shapes. There is even one that is a starburst, giving you a complete rainfall experience. 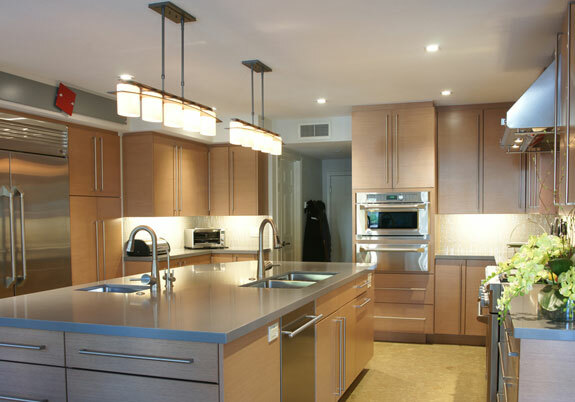 You can choose from polished chrome or brushed nickel for most. Some have oil rubbed bronze or polished brass. Whitehaus also has a couple of options for hand showers. Whitehaus bathroom fixtures also include a number of accessories to complete your look. These include drains and traps, towel bars, toilet paper holders, mirrors, shelves and many others. These little things allow you to add the final little touches that pull everything together. Like the rest of the fixtures, they are simple and not at all flashy, yet they are extremely elegant. 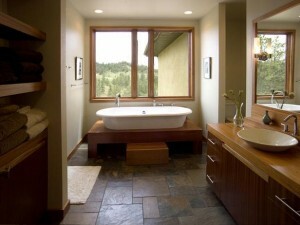 Your bathroom should portray the kind of atmosphere that permits you to feel comfortable and relaxed. The wide selection of simple yet elegant bathroom fixtures offered by Whitehaus might just be what you need to obtain your perfect look. Tile is a durable material that is rather versatile. You can use it for your floors. It can be placed on walls. You can use a variety of shapes and sizes to create different patterns, giving you the freedom to make your home more you. Perhaps you want something more elaborate than what you have time for, or you aren’t as artistic as you would like to. LTS Ceramics can create interesting tile patterns that you are sure to love. What Does LTS Ceramics Offer? 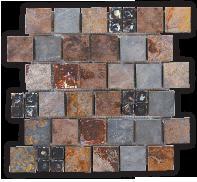 LTS Ceramics has a large selection of many types of tiles. They offer ceramic panels, which are painted and pieced together to create a picture. They also offer mosaic panels, which contain an image created entirely of smaller tiles. Along with these panels, LTS also carries several different collections, all of which are unique. Many of the collections are inspired by old world Mediterranean styles. Most are hand painted, but the Bardo collection is all mosaics, where the tiles are cut and pieced together by the artists. Is LTS Ceramics Right For You? The mosaic tiles created by LTS are unique, since they are hand cut and put together by the artisans. This means that if you choose to work with them, you will be getting something completely original, even if you choose something similar to what you can find already created in their warehouse. The tiles and mosaics can work just about anywhere in your home. 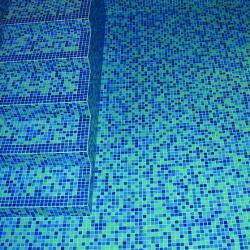 You can use them as part of your floor, a kitchen backsplash, or even outdoors in a pool area. If you know you want what LTS has to offer but can’t find a design that speaks to you, they do offer customized orders, giving you the chance to flex your creativity with the artists. Prices are hard to find on their products however. You will have to contact the company for that information, so it is difficult to say how budget friendly these beautiful pieces are. You want your home to be as unique as you. Your design choices speak volumes. LTS Ceramics can offer you, or help you create, one of a kind, interesting tiles and mosaics that can help you feel truly at home. Your bathroom sees a lot of use. Not only is it a functional space, it’s where you prepare for your day or where you go to escape and unwind. As such, your bathroom’s decor should make the space feel like your personal haven. This includes the finer details such as your faucets and fixtures. Do you need to turn your bathroom into a zone of relaxation? If so, take a look at Meridian’s products. Meridian offers a wide selection of bathroom faucets and bathroom fixtures. They also carry a variety of kitchen sinks. The bathroom sink faucets are available in widespread, center set and single hole. These are offered in multiple styles, from simple to a bit more elaborate, though not too flashy, with a few different finishes: eighteen karat gold, brushed nickel, polished chrome and oil rubbed bronze. Their kitchen sinks are similarly available. The bathroom fixtures include towel bars, toilet paper holders, soap dishes and tumbler holders. These are available in multiple styles and finishes as well. This allows you to have consistency throughout your bathroom, or if you are a little bit more creatively minded, you can mix and match to display your uniqueness. Meridian’s sleek designs and multitude of options assure that there is something to fit any style preference. They don’t have anything too elaborate or finely detailed and the color selection is limited to the few finishes, but that enables you to find something that will work in your bathroom, no matter what your decor. The prices are also rather reasonable, meaning that Meridian can offer you a perfect product no matter what your budget. Your bathroom is so much more than a functional room. You spend a lot of your time in there, no matter if it’s just a moment to check your hair or an hour to relax in the bathtub after a long day. 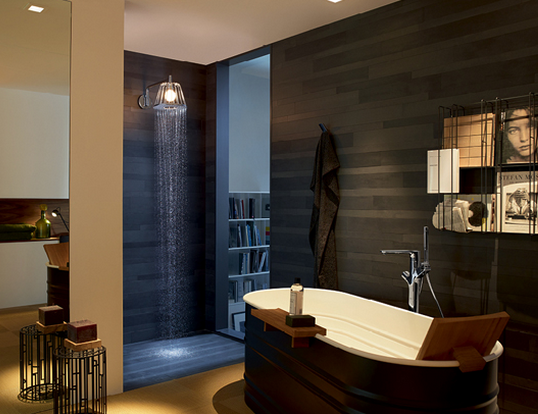 It’s only right that your bathroom feels like your personal haven. Meridian can give you what you need to fill out the finer details of your decor with beautiful faucets and fixtures. Tile makes for great floors. They are strong, wear resistant, resistant to mold and mildew, and they are relatively easy to keep clean. Smaller tiles can be used for walls as well. By using different sizes of tiles, you can create unique patterns, or you may choose to stick with the same size for a clean look. Tile can also be used for several different rooms in the home: kitchen, bathroom, entryway, sunroom. If you are in the market for tile, Laufen Tile may be able to help. Laufen is actually under the Roca Tile Group. This group includes Roca, Laufen, United States Ceramic Tile and Incepa. The Roca Tile Group distributes ceramic and porcelain tile worldwide. 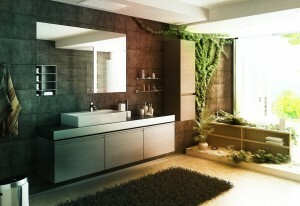 It produces a wide variety of kitchen and bathroom tiles for both floors and walls. The Roca Tile Group has a wide range of both ceramic and porcelain tiles that can be used in just about any room. There are a large number of collections from which to choose. The color possibilities seem almost endless. There are solid colors, patterned colors, even colors that mimic wood and stone. The options for kitchen tile are almost limitless, as the ones for bathroom tile. They also have a collection of bath accessories, which includes soap dishes and towel bars. As it is part of a larger group, you have nearly limitless possibilities when it comes to designing your tile floor or wall. 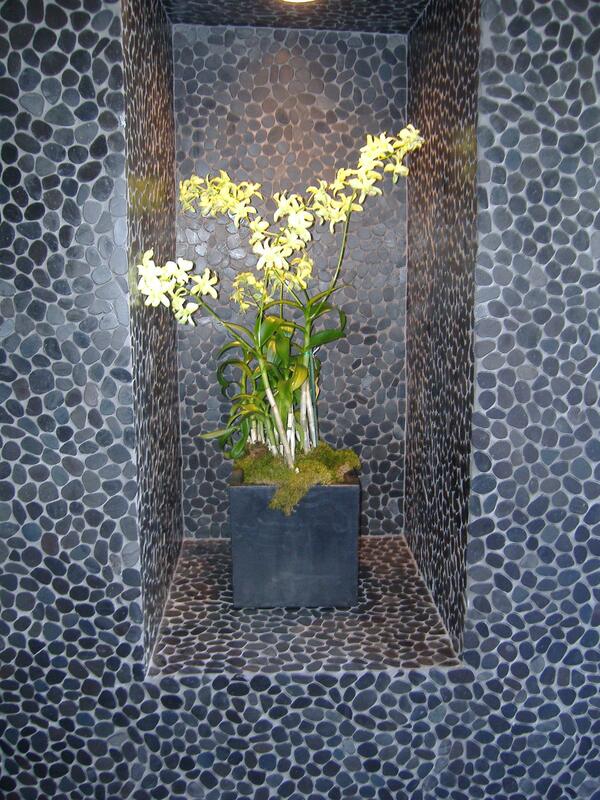 You can choose large tiles make an entryway appear more open. For your kitchen, you could choose tiles that look like hardwood, except you wouldn’t have to worry about damage. You can create a mosaic tile in your bathroom with smaller tiles. You are really only limited by your imagination. If you are looking to redo your floors with ceramic or porcelain tile, look to Laufen Tile and the Roca Tile Group, where you will find just about every possibility under the sun. You spend quite a bit of time in your kitchen. You prepare meals there. Friends and family gather around food. People wander in to get snacks and drinks. Children often do their homework there with a mid afternoon snack. Because you use this space so often, it stands to reason that your personality should show in it. This includes even the smallest details, even your faucets. Some people prefer elaborate decor. Others, not so much. 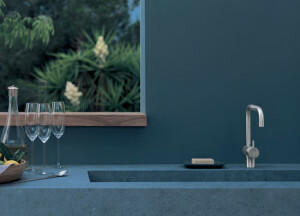 For those who prefer clean, simple, uncomplicated designs, Vola kitchen faucets are worth a look. Vola faucets are designed to be minimalist. All of the hardware is hidden behind the wall, leaving only the handles and spouts exposed. The wall mounted kitchen faucets are available with one or two handles. They are available in several colors, leaving you to decide if you want a simple metal finish or a bright pop of color, such as pink or yellow, to express a little extra personality. Even if the design is simple, that little something extra lets your guests know that there’s something more to you. Vola has several types of countertop mixers. You can choose from one handle or two. A few of the two handled mixers are part of a three hole set. Some of the models have an extra hand shower added. An advantage to these mixers is that the spout swivels. These, too, are available in an assortment of colors, leaving you the option to choose something that blends in with the rest of your fixtures or choose something that lets your faucet stand out, reminding you of the importance of the sink. Your kitchen sink is an important part of the kitchen. As such, it should tell your guests a little bit about who you are. If you are a person with simple tastes, who prefers clean lines and no frills, but you still want to portray a little bit of color in your personality, Vola can give you the kitchen faucets you need to complete your kitchen’s look.